Deadlift, could have gone a little heavier in the end. Maintained tempo and focused on movement quality. 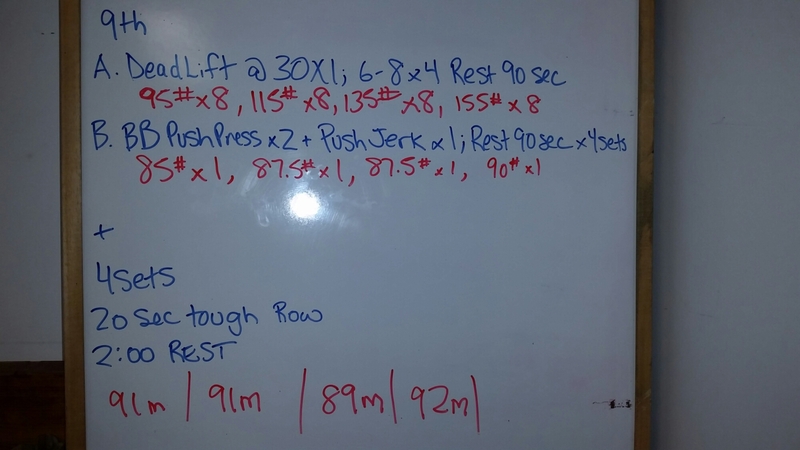 BB push press + push jerk, these felt good but so odd. I haven’t done anything explosive in a long time. Felt like I could have recruited more of my lower body to put momentum on the bar. Last set felt like I muscled it up a bit. My glutes were sooooo tight today! Question about the rowing… What setting should I be using?